Mini Wings are small paragliders (usually 14-20m2) with characteristics more comparable to Paragliders, rather than Speed Wings i.e. they have a better sink rate and glide which makes them more suited to soaring rather than mountain descents. The Gin Griffin D is the more robust version of the Griffin, Gin's lightweight mini-paraglider. The LiteSpeed is a highly versatile, lightweight mini-wing that features the latest in Shark Nose Technology and Ultralite construction. Based on the Zero, its modern design incorporates the same technology that powers our highest performance XC and competition wings, packaged into a user-friendly intermediate mini-wing. 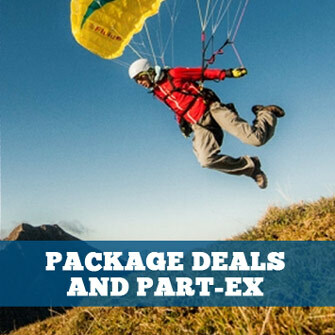 The VIOLA is an extremely versatile lightweight paraglider: 8 sizes covering a weight range from 50 to 145kg, from a certified mini wing up to an easy hike and fly wing for heavy pilots. Small. Lightweight. Fast. The Tonka 2 is made for Alpine adventures. 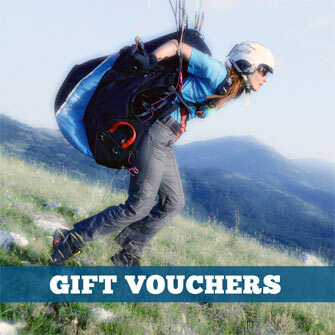 They are super small, super light and super fast, which makes them predestined for alpine adventure. Each size has its own character. With only 10.2 m² of projected area, the TONKA2 XXS is the smallest and at 1.8 kg also one of the lightest LTF/EN approved paragliders. Depending on the take-off weight, the sizes XXS and XS are designed for competitive use or for fast flights to the valley. For pilots looking for less dynamics and speed, the TONKA is available in another size with just under 15 m² projected area. This is the perfect companion for ambitious Hike&Fly tours. The TONKA2 is a miniwing, that opens up new horizons. With a projected area of just 11.8 m², it's the smallest paraglider on the market with LTF/EN-certification. Based on the design of our lightweight MASALA2 gilder, the TONKA2 weighs just 2.1 kg, is extremely small to pack and is easy to launch. That makes it the perfect tool for ambitious para-alpinists and Hike&Fly-pilots with adventurous plans. Thanks to its high wing loading, the wing reacts quickly and dynamically to every control input. For experienced pilots this means pure flying fun! The TONKA2 is extremely fast, yet it glides exceptionally well despite its small size – making it THE favorite glider for speed competitions like the Red Bull Dolomitenmann!